Barely three months into his appointment as Super Eagles coach, Sunday Oliseh has already shown a propensity for ruffling feathers. Super Eagles midfielder, Mikel Obi was dropped from the team for the AFCON qualifiers after he reportedly refused to meet with the coach. The super Eagles camp opened two days ago as the Eagles Prepare to play Belgium in an international friendly on Thursday. Super Eagles goalkeeper, Vincent Enyeama reportedly arrived late to camp and was asked to leave by the coach. He was forcefully ejected by security men. 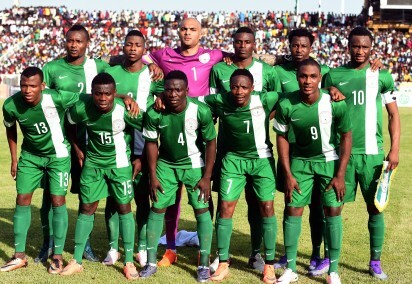 The NFF confirmed the spat yesterday but claimed that Enyeama was back in camp. Sunday Oliseh who is upset with Enyeama has stripped him of captaincy and handed the captain band to winger, Ahmed Musa. Enyeama took to Instagram to share his disappointment in his coach’s action. Sunday Oliseh Set For Super Eagles Job?